A Los Angeles jury on Monday has ruled in favor of the NCAA in the trial of former USC assistant football coach Todd McNair’s defamation lawsuit against the collegiate sports ruling body. The jury ruled in favor of the NCAA by a 9-3 vote after three days of deliberation. The jury at one point was deadlocked 8-4 on whether the NCAA made a false statement about McNair, who was named in San Diego native Reggie Bush impermissible benefits scandal. McNair has claimed that he was unable to find work following the NCAA sanctions against him and USC. McNair’s attorneys claimed the sanctions were a result of a flawed investigation by the NCAA. 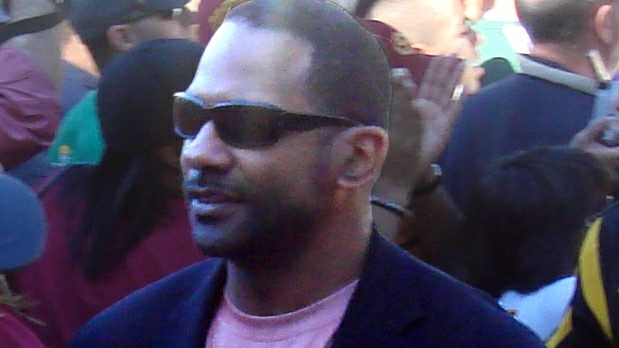 McNair spent six seasons at USC coaching Trojan running backs under former head coach Pete Carroll. But his contract was not renewed after the NCAA alleged in a report that McNair knew about Bush’s relationship with two sports agents, San Diego sports marketers Lloyd Lake and Michael Michaels, who were providing Bush with benefits, according to his lawsuit. McNair received a show-cause penalty from the NCAA, meaning that he had to receive permission from the NCAA for any recruiting he did for one year. McNair, who filed his lawsuit in June 2011, maintains that he was unaware of Bush’s relationship between Lake and Michaels and that the NCAA committed misconduct in its investigation. The NCAA’s court papers say McNair’s statements were contradicted by Lake.